Casa Privada is a newly built three bedroom, two bath, patio home that is two blocks from the beach, next to the nature preserve, in the quiet zone and a few steps from the business district. Casa Privada is built with indigenous woods and with its large patio insures the "pura vida" lifestyle. While staying in Casa Privada you will be able to enjoy all the nature that Costa Rica has to offer. You will especially like the monkeys sunning above the pool while the Pizotes meander through the gardens. Casa Privada's furnishing are all custom made from Costa Rica's indigenous woods. Casa Privada comes with all the necessary items to fully enjoy your stay; quality linens, mattresses, towels, and wifi which will insure you the utmost comfort. 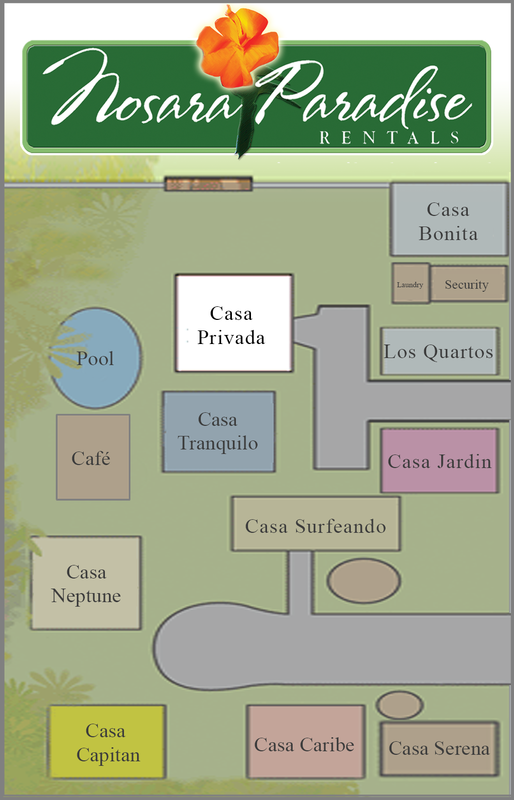 Casa Privada is perfect for the large family or group of friends wanting to enjoy all that Costa Rica has to offer.